“It all started with an old fashioned coke bottle and the idea for an old fashioned or vintage Christmas card theme unfolded from there. We chose St. Augustine, Florida, the oldest city in America, for its old world charm as the setting to shoot the photos and used our favorite photographer from Life and Love Studio who captured exactly what we were hoping for. We think your family captured it perfectly, Jennifer! Thanks for choosing Pear Tree to help bring your ideas to life. 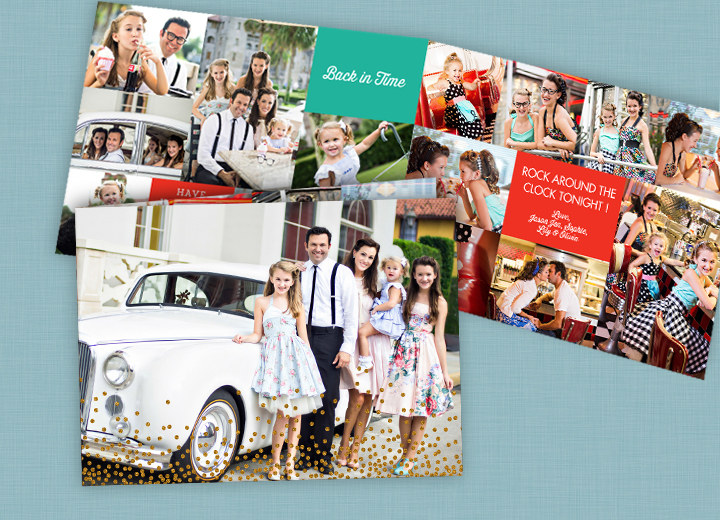 Read on for more Featured Favorites and Christmas card ideas from our customers.